Today’s column was almost cancelled because of the haze. I know reading this column often requires strenuous physical exertion. Just avoid doing it outdoors when the PSI is over 100, especially if you’re a child, elderly, pregnant, have a chronic lung or heart disease, or any combination of the above. The reason I decided not to cancel is that something happened last week that I want to write about and I feel it is worth risking your health for. A “beauty” blogger named Juli Phang made headlines when she live-blogged the wedding of her husband’s friend, posting negative comments about the bridal car, the bride’s bouquet and gown. 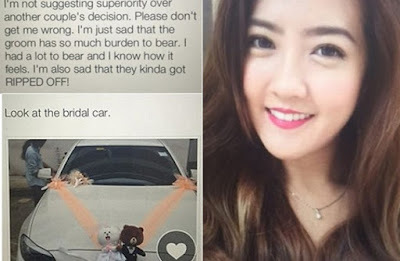 Ms Phang also took the opportunity to humblebrag on Dayre about how her husband made fun of her when she told him people were looking at her in the bridal car instead of the bride. 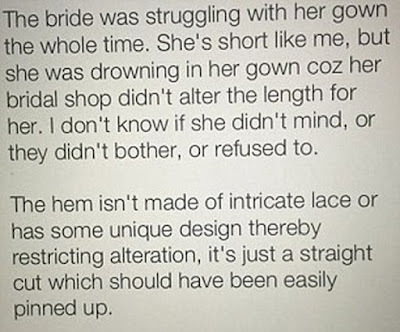 You know, because she was more beautiful than the bride. Well, if her point was that the bride and groom should have asked a friend to be the emcee, highlighting the nationalities of the restaurant staff members bolstered her argument not one whit. Speaking of being “ethnocentric”, that reminds me of another woman who made the news after posting some comments about a wedding. The rest, as they don’t say, is her story. 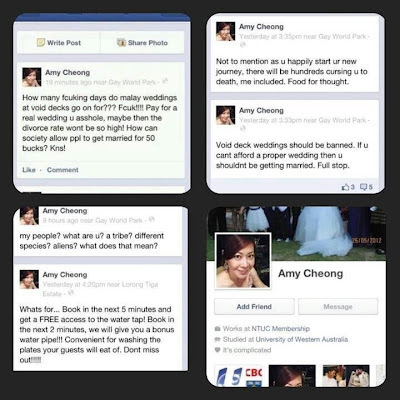 Ms Cheong was fired from her job as an assistant director at NTUC and fled the country. She became the poster child for childish postings. Sure, we’ve had Mr Anton Casey, Edz Ello and others since then, but Ms Cheong was a pioneer, although she doesn’t qualify for the Pioneer Generation Package. So far, PM Lee has been too busy rearranging his cupboard to comment on Ms Phang’s case, but I think she is even bigger than Ms Cheong — at least globally. Ms Phang’s infamy spread so far and wide that the New York Daily News said she has been dubbed the “world’s worst wedding guest”. I was shocked. I thought I was the world’s worst wedding guest. True, there was never an official ceremony where I was conferred the title. It’s not like I was given a certificate or a tiara or anything. But I’ve lost count of the number of wedding dinners I’ve attended where I didn’t give a hongbao. For all her insensitive comments, my guess is that Ms Phang or her husband still handed the bride and groom a red packet containing cash. That’s what most Singaporeans do. Because as an invited guest, I don’t believe it’s my duty to subsidise anybody’s nuptials. The other suckers can do so if they want. 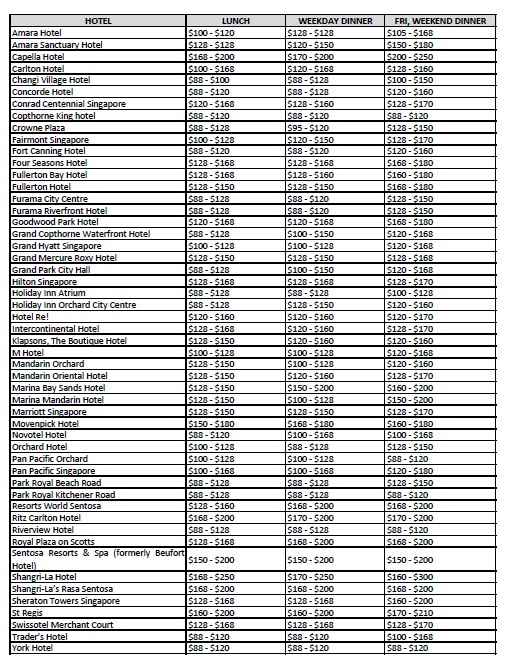 I scoff at how Singaporeans are so bound by custom that they feel obligated not only to help foot the bill for the wedding dinner, they must also calculate and contribute an amount that commensurates with how expensive the restaurant is. If that doesn’t make me the world’s worst wedding guest, it should at least make me Singapore’s worst wedding guest. 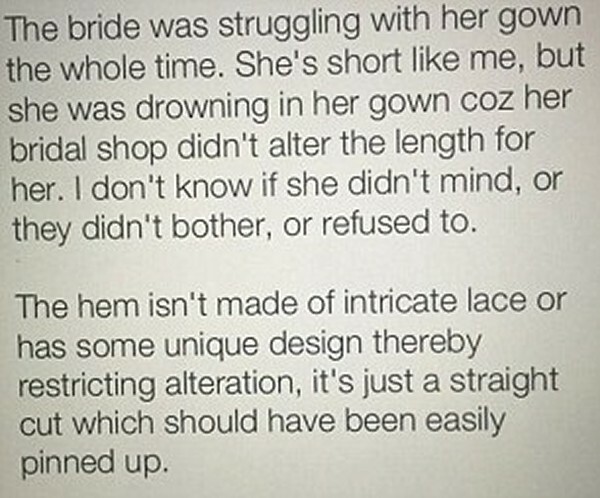 But then I’ve never live-blogged about how the bride was “drowning in her gown” on her wedding day. Ms Phang has since removed the offending posts and apologised for them. While she’s doing that, I should work on regaining the “worst wedding guest” title I lost to her. I may even start using Dayre. I just have to figure out how to pronounce it. Then I need someone to invite me to a wedding. So... anyone getting married soon? 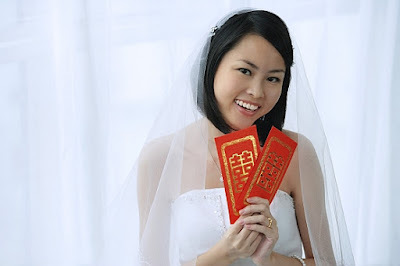 EARLIER: Not sure how much hongbao to give for wedding dinner? Don't give!